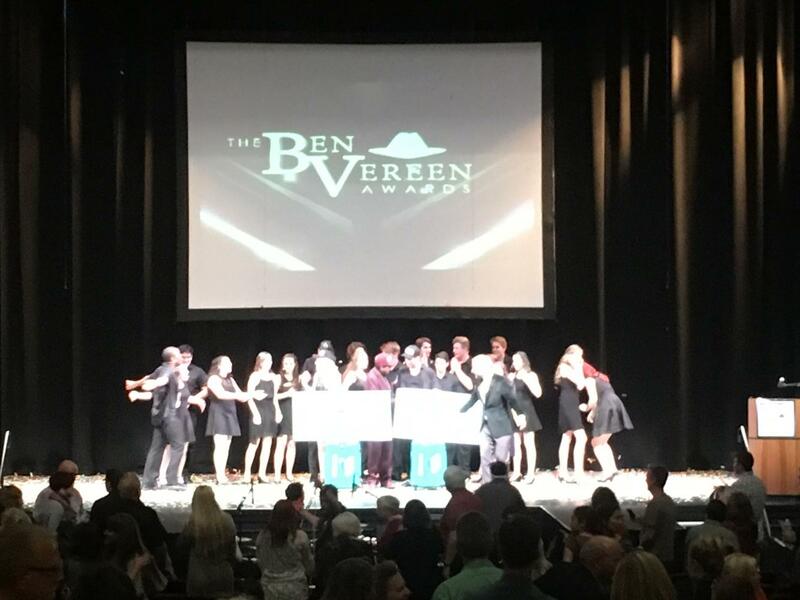 "The Addams Family" along with four individual SDA students was nominated to perform at the Ben Vereen Awards. Nominated for the title of best musical, the cast of SDA’s “The Addams Family” was welcomed to join the top high school musical programs from throughout San Diego County at the Ben Vereen awards Saturday at the Balboa Theater. Additionally, junior Jenna Steinberg (Morticia) and sophomore Jillian Strattman (Alice) were nominated for best actress; junior Dashiell Gregory (Fester) and senior Yoni Kruvi (Gomez) were nominated for best actor. The evening opened with a performance from “An American in Paris,” which included actors and actresses from each participating school. Then, the emcees were welcomed to the stage. Among them was Tony award-winning actor Ben Vereen for whom the awards ceremony is named. During the ceremony, it was declared that there is now a Ben Vereen day by a representative from the City of San Diego. After the evening was introduced, the competition between five schools for Best Musical began, which were interspersed with solo performances by the 10 male and 10 female nominees for Best Actor and Best Actress. Toward the end of the first act, SDA’s theater performed a medley from the “Addams Family,” which included “When You’re an Addams,” “Waiting,” “One Normal Night” and “Pulled,” among others. Following the 20 solo performances and five ensemble performances, there was a brief intermission. After strolling back in, the audience grew quiet and suspense was built as they waited for them to announce the top three candidates for best actor and actress. Strattman, who had powerfully performed “Waiting” from “The Addams Family” as her solo in the first act, was announced as one of the finalists. She and three boys and two other girls who made the first cut were seemingly overwhelmed with joy and disbelief. They had to gather themselves quickly though, as each candidate had to perform a second solo from a musical other than the one they were nominated for. Strattman was the last of the female performers to sing. Between then and the final announcement of best musical, there was a live performance by a young, transgender trumpet player from the area. An ensemble from the Wellness Through the Arts program also performed. In that window, when the judges were making final decisions, a closing number was performed. The students who performed throughout together sang selections from “On your feet!” Then, two Ben Vereen Awards alumni performed for Vereen, signing “For Good” from the Broadway hit “Wicked.” Vereen then sang a quick song, which drew the performers from the wings backstage to stand beside him on stage. Then, at last, the winners were announced. Sky Frank, an actor from the San Diego School of Creative and Performing Arts won Best Actor, and Strattman won Best Actress. For their accomplishments, the two will be sent to the national high school musical theater awards, or the Jimmy’s, this summer in New York City. They will learn from professionals and perform on a Broadway stage. Q & A with sophomore Jillian Strattman. 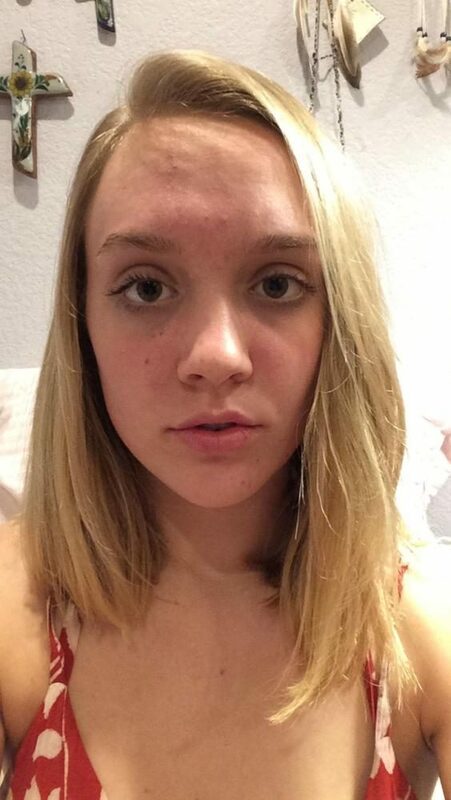 Jillian Strattman, sophomore, won Best Actress at the Ben Vereen musical theater awards last Saturday; she will move on to the national awards in New York known as the Jimmy’s. In an interview, Strattman talked about her studies of musical theater, her experience at the Ben Vereens and what she most looks forward to at the Jimmy’s. How long have you been singing and doing theater? I’ve been doing theater for a while. I did in-school theater camps…[from] kindergarten because my mom put me in [theater] because she didn’t want me or my sister to have a fear of public speaking. But, I’ve been doing musicals since the summer after eighth grade, so when I was like 14. And then, I started singing when I was in sixth grade, so when I was like 12 or 13. What was the preparation like for the Ben Vereens? I prepared my song from the show that I was in [“The Addams Family”], and I had to pick two [other] contrasting pieces that were different from the song from [“The Addams Family”]. And so, I went in [and met with the] accompanist and the…artistic director. And so, [it was] decided what my second song should be. And then, from there, the top 20 got together and we learned choreography, and we performed our songs for each other and learned the harmonies for the opening and closing numbers. It was like six hour rehearsals every day last week. The actors were on stage during their competitors’ solo performances. What was that like? It’s kind of stressful….I was standing there, and I heard all the girls. And, one of the girls, also in my group, was in [the] top three. So, you hear it and you’re like ‘Wow! Everyone is so, so incredible.’ It’s just like you’re standing there and you’re trying to keep yourself together and not smile or react to their songs….That was a little weird. Overall, it was very cool to be in the moment with them. What were some of the differences between your performance of “Waiting” at SDA versus at the Ben Vereens? What did you have to change for that performance? Here [at SDA], I had blocking given to me by [theater teacher Stephanie Siers]. I had to walk around the table, and touch people in a certain part, and crawl on the table, and then fall, and then get back up…. [It] was a little bit different because I had the wig, and I had the full costume. I had the lights and everything in my favor….So, [those elements] added to the performance. But, for the Ben Vereens, I knew I had to make it vocally the best that I could because it was all vocals, because I was wearing something that had nothing to do with my character, and the hair and makeup [had] nothing to do with the character. So, it was a lot of what hand gestures [to] do and how can I show [different emotions] through my…facial features. It was a lot of vocally preparing. What was it like when you realized you had made the top three? [Before they announced my name], I had hope…I was so excited they called my name first. Because if I had to wait…I would have been a hot mess. I just was filled to the brim with joy. And, I was so so happy because I was in the audience for the Ben Vereens last year and I never in a million years thought I would even be in the top 20, let alone be in the top three and win the whole thing. It still hits me in waves that it actually happened. After the top three were announced, they essentially moved straight into solo performances by those who made the big cut. Because you were so overwhelmed with joy, how did you ground yourself in such a short amount of time and re-focus for your second performance? I was crying when I found out. So, when I got off stage, I walked off [to the wing where the boys were]….and ran down stairs [and] got some water. And, theater kids have this weird thing, where we eat straight honey all the time. So, I ate some honey…And I thought I was going to be late, so I sprinted up the stairs, and I had like five more songs before I had to even go on. So, I was ok. But, I was just drinking water and calming myself down. And, I was more nervous because my voice was going…[and] it was scratchy and hoarse…I did my best. What were your contrasting pieces? And, why did you choose them? Why did you eventually decide on the one you ended up singing? It was between [“Safer” from “First Date”] and “How ‘Bout a Dance” from “Bonnie and Clyde.” The artistic director and the accompanist were kind of torn; the accompanist wanted me to do one, and the artistic director wanted me to do another. So, they were like…’it’s your decision’…. I felt more of a connection to “Safer” because of the context, and I can relate it to situations that have happened in my life, so I could use that emotion in the song. I like to put emotion…behind the words. With the “Bonnie and Clyde” song…in the context of the show, she is singing along to a radio. So, I just felt more of a connection emotionally to the song I ultimately chose. How does it feel to have won Best Actress and be going to the Jimmy’s? It’s so crazy….Again, it’s hitting me in waves….I was so over the moon on Sunday and then on Monday, I woke up and went to an interview for KUSI. And then, I slept because I hadn’t slept that much that whole week….It’s so surreal still….To be going to the Jimmy’s is insane because even if I don’t place, just how many casting directors will be in the audience is a huge, huge life-changing opportunity. What are you most looking forward to for the Jimmy’s? Meeting new people and becoming close friends….With the Ben Vereens, we were talking on the night of the show [in disbelief they had only met a week ago]….We all just got so close so quickly, which is a thing that happens a lot [in theater]. So, I’m kind of excited for…[meeting] new people and lifelong friends.